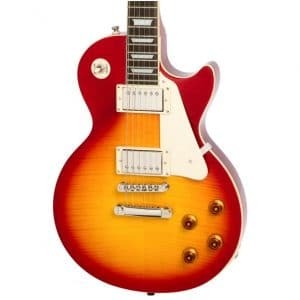 We stock a selection of Les Paul electric guitars at our music showroom located in West Bridgford, Nottingham. With coil taps and phase switching this second hand piece is in mint condition. Fitted with an Etune system for fast and easy tuning this is a massively versatile instrument is vital for any collection.